Politics! Politics and more Politics! 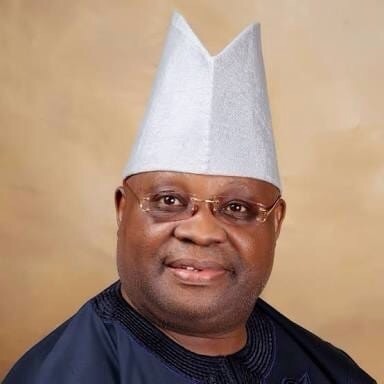 The Osun State Governorship Election Petitions Tribunal sitting in Abuja, will today deliver judgement on the petition lodged by the People‎s Democratic Party (PDP) and its candidate, Senator Ademola Adeleke challenging the outcome of the September 22, 2018 poll. The three-man panel led by Justice Ibrahim Sirajo on Wednesday notified the parties that judgement on the case will be delivered today. Adeleke and the PDP approached the court urging it to declare him the rightful winner of the election held on September 22, 2018 having scored the highest number of votes cast. The PDP and its candidate alleged that the supplementary election held on September 27, 2018 was marred by irregularities, including massive rigging, vote buying and other forms of malpractices. In a related development, the Osun State Police Command has announced that it has put in place measures to prevent breakdown of law and order ahead of today’s judgement. The state police spokesperson, DSP Folashade Odoro urged residents of the state to go about their lawful businesses without fear. “The commissioner of Police had fortified security to avoid any breakdown of law and order. “Officers have been placed on red alert and are pro-active to prevent any kind of violence or demonstration in the state. “We will, however, want to urge people of the state to maintain law and order and go about their lawful businesses without fear,’’ she said.